We have been eating plant-based for over a month now. Wanted to share some of what we’ve been enjoying. Cooking without oil has been really easy and the recipes have been delicious. 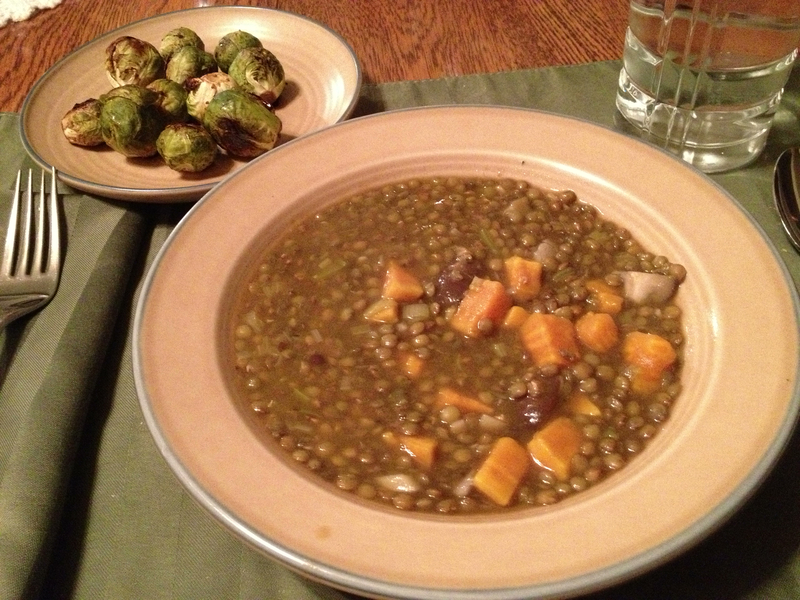 This soup was really easy to make. Saute the leeks and mushrooms for a few minutes, add the rest of the ingredients and simmer. This was a great tasting soup that really filled us up. I’ve discovered how to roast Brussels Sprouts without oil also. 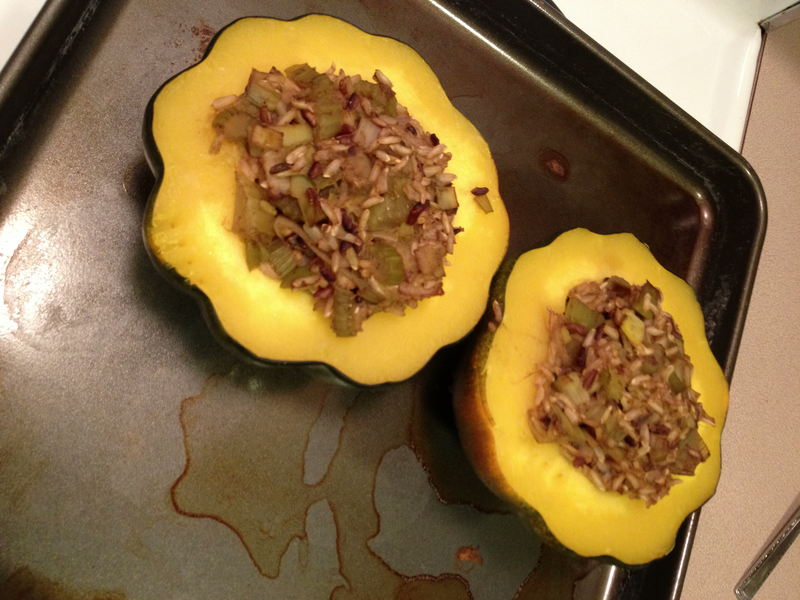 The filling for the squash is wild rice mix, leeks and celery. Cook the rice mixture, bake the squash and then fill them and heat for 20 minutes. Yum. 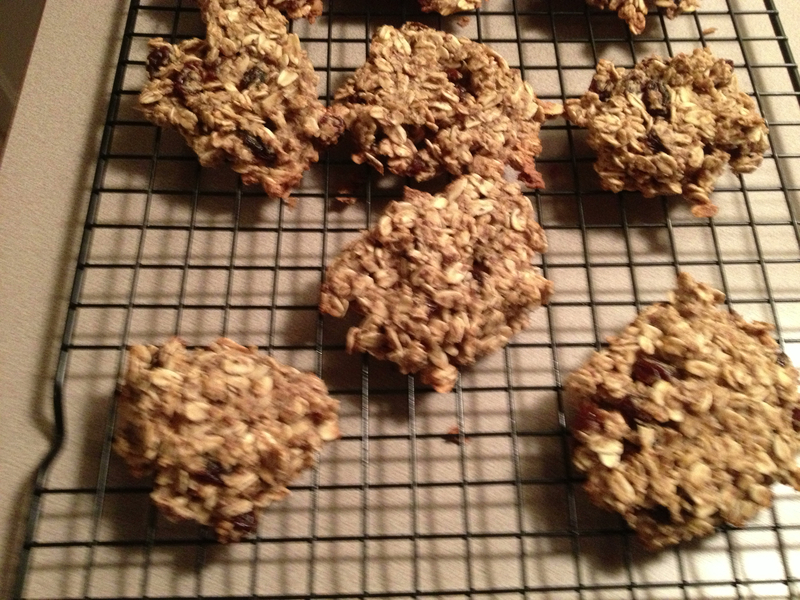 OK, these aren’t your mothers Oatmeal Raisin cookies. They’re made with a bit of maple syrup and taste very sweet after not eating sugar for a couple of weeks. ‹ Where is the Dickens of our time? Joel is a great chef, and these recipes are super-delicious! He left out one of my faves, though – lentil sloppy joe’s on an open-face sprouted grain bun.